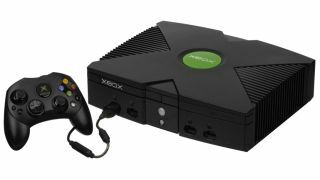 On November 15, 2001, a little - well, not little - black console called the Xbox debuted in North America. Fifteen years later, the Xbox brand is still going strong, with the updated Xbox One S competing closely with the PS4 in sales and a new, more powerful version slated for next year. Microsoft is pretty pleased about all this, and it has a few 15th anniversary celebrations going on this week to mark the occasion. The Xbox offices are currently hooked up with a plethora of kiosks allowing any employee to jump online so they can play with/against the Xbox community, and it's very easy to find them thanks to the new Xbox One update. Navigate to the Clubs hub and follow the Club named "Celebrate 15 Years of Xbox" to play against Xbox employees in a variety of games. If you specifically want to take on the Halo devs, they're over at the "Halo" Club today. If you can't play but want to watch, there's a Forza series livestream starting at 1pm Pacific, and a Halo livestream to follow at 3:43pm Pacific. There's also a series of "Game With" streams featuring members from the backwards compatibility programming team, the developers of Killer Instinct, and the team behind Xbox's new livestreaming tech. So all in all, three channels full of Xbox brand streaming. There's also a few presents for you, should you care to scoop them up. Log onto Forza Motorsport 6 or Forza Horizon 3 to get a 2017 Ford F-150 Raptor with a special Xbox-themed paint job, then take on new Rivals events. Forza Horizon 3 also has a special Bucket List Challenge that can be found at the Pink Lakes Bucket List waypoint. Meanwhile, those who log onto Halo 5 between now and November 22 will get a special 15th Anniversary REQ Pack that contains the Mjolnir Mark IV Gen 1 armor set, AKA the armor Master Chief wore in the original Halo: Combat Evolved. There's also a selection of new Halo-themed gamerpics if you feel like sprucing up your Xbox profile a bit.